The Mayor of London, Transport for London (TfL) and the Metropolitan Police Service (MPS) have published London’s first ‘Vision Zero’ action plan, which includes 20mph as the default speed limit across London. The plan is to eliminate deaths and serious injuries from London’s transport network by lowering speed limits on TfL’s road network, transforming dangerous junctions and introducing tough safety standards for the design of HGVs and a comprehensive bus safety programme, including speed-limiting technology and a new driving course for all drivers. 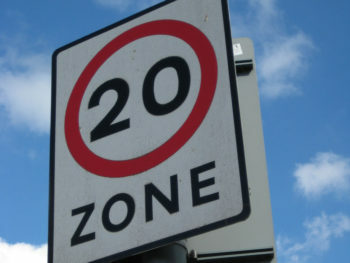 TfL is now proposing to make 20mph the new general speed limit on all TfL roads within the Congestion Charging Zone (CCZ) by 2020. 8.9km of new roads within the CCZ will become 20mph by the end of the Mayoral term to fulfil this ambition, the Mayor of London Sadiq Khan said. However, the Mayor’s plans have been met with mixed reaction, with some pointing out other 20mph zones have seen an increase in deaths and serious injury, as well as increases in traffic and congestion. Keith Prince, GLA Conservatives Transport spokesman, said: “Clearly introducing a new 20 mph speed limit could increase congestion and worsen London’s air quality through more idling. By 2022, the London Mayor’s aim is to reduce the death and seriously injured toll on London’s roads by 65%, with no-one being killed on or by a bus by 2030, on the road to ‘Vision Zero’ in 2041. Each year more than 2,000 people are killed or seriously injured on London’s streets.